Reza Aslan, the highly requested religions speaker, is still generating a lot of buzz thanks to his book, Zealot: The Life and Times of Jesus of Nazareth. Recently, he gave a presentation at the UN Committee Lecture at the New Canaan Library (check out the video, embedded above) and was a guest on NBC's The Interview. In the talks, he discussed the book, the press it has received, and, why he chose to write about the historical story of Jesus the man. "What I'm trying to do is dig through those layers of theology, doctrine, dogma, legend, and myth and get to the man who lived 2000 years ago," he tells NBC. "It's not an easy enterprise. It's one that scholars have been doing for 200 years." He also explained why his book caused such a stir in the wider community. "I mean for a scholar to say that Jesus wasn't born in Bethlehem, you know it's obvious," he says. "To a lay reader if you say Jesus wasn't born in Bethlehem, well their heads explode." "There was actually a chasm between the historical Jesus that I was uncovering in my academic work and the Christ of faith that I had been taught about," he says during his UN Committee Lecture. That incompleteness, he says, was what sparked his interest in telling the historical story of Jesus of Nazareth. And judging by the book's runaway success and its rise to the top of bestseller lists, other readers are just as interested. In addition to speaking on the history of the man we know as Jesus, Aslan can also address the topics of Islam, the Middle East, and Muslim Americans with authority, wit, and an infectious optimism. 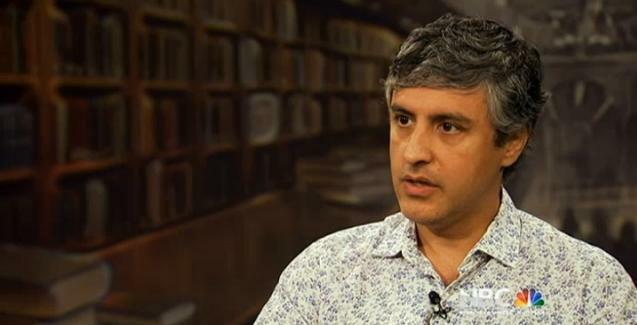 To book Reza Aslan as a speaker, contact The Lavin Agency Speakers Bureau.